The Treasury was "justified" in using taxpayers' money to bail out banks to protect the wider financial system, according to an official report. The National Audit Office (NAO) review said the UK public so far provided help totalling £850bn. "It is difficult to imagine the scale of the consequences for the economy and society if major banks had been allowed to collapse," the NAO said. It said that the final cost to the taxpayer will not be known for "years". 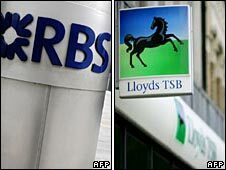 During the financial crisis, the UK government nationalised Northern Rock and took stakes in the Royal Bank of Scotland (RBS) and Lloyds Banking Group in return for bailing them out. RBS also put £282bn of its assets into a government insurance scheme for toxic assets. The Treasury also provided extra cash to the Bank of England to shore up the banking system. "The Treasury was justified in using taxpayers' money to safeguard savings and stabilise and restore confidence in the financial system," said Amyas Morse, head of the NAO. In October 2008, when the Treasury rescued HBOS - which was bought by Lloyds - and RBS, their combined balance sheets were worth £3tn, twice the UK's annual economic output. The NAO study also shows that by April 2010, the Treasury will have spent £107m on crisis advisers. According to the report, Credit Suisse could earn as much as £15.4m in fees for its crisis advice. Deutsche Bank was another adviser. Each was appointed on retainers of £200,000 a month for a year. "The Treasury considered that the retainers were appropriate in circumstances where it needed external advice at short notice but the precise nature of the advice was uncertain," the NAO said. But a total of £100m is expected to be refunded by RBS and Lloyds as part of their bail-out conditions to recover these fees. The NAO also said that though the advisers are owed so-called "success" fees, the contracts did not define success and these are purely at the discretion of the government. The Treasury estimated in April that there may be a loss to the taxpayer of between £20bn and £50bn, but the final cost would not be known for "a number of years". The total losses will depend on the price at which the government sells its holdings in RBS and Lloyds - which could yet yield a profit for the government - and what the assets in the insurance scheme are eventually sold for. 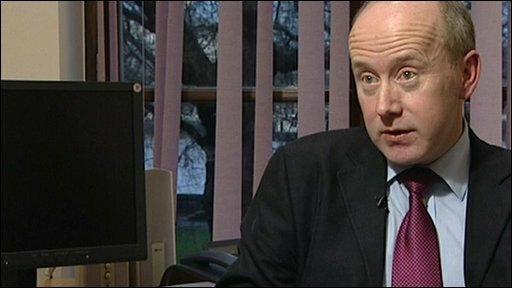 Responding to the report, Liberal Democrat Treasury spokesman Vince Cable said it should act as a wake-up call to the banks involved. "This report shows the sheer scale of the debt that banks owe, both directly and indirectly, to the taxpayer. These banks should understand that with the level of state support they have received, they must be run in the public interest." Edward Leigh, the Conservative chairman of the Public Accounts Committee, said the government had played "fast and loose" with parliamentary rules by its decision to keep secret for 13 months the huge emergency loans made to RBS and HBOS, made just over a year ago. He described the explanation - that revealing the arrangement sooner could have damaged confidence - as "feeble". Northern Rock's remaining loan to the UK government remains at about £14.5bn, the bank said last month. Total taxpayer support for the bank has amounted to £26.9bn, and it will receive a further £8bn of government loans when the restructuring goes through by the end of the year. The European Union recently approved plans for Northern Rock to be split into a "good" and "bad" bank - paving the way for a partial sale. agreed in principle to provide insurance for over £600bn of bank assets, reduced to just over £280bn in November 2009. "The authorities need to put formal arrangements in place to evaluate the effectiveness of the support provided to banks in order to inform future policy makers," Mr Morse said. "As the crisis begins to subside, lessons must start to be learned."